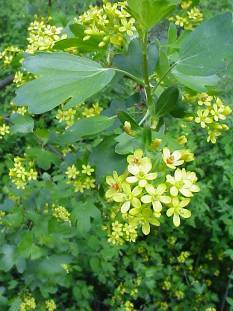 Golden currant grows on fine- to course-textured loam soil at elevations up to 8,000 feet (2,400 m). Seed, cuttings semi-hardwood simple layering and transplanted. Sun or partial sun, remove flower blossoms from plants in the first year to encourage plant establishment and growth for future years. Give some afternoon shade here, amended soil and regular summer water. Also give adequate drainage.